A moving tribute to the Geoffrey Crowther building has been paid here. 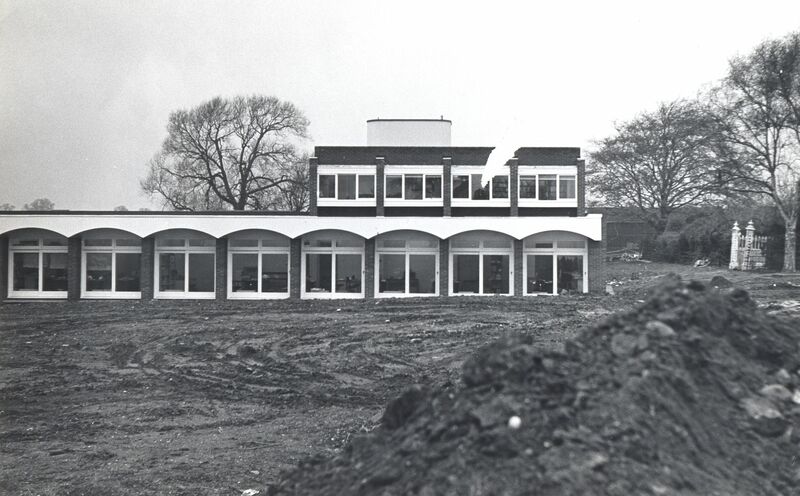 The building on the OU’s Walton Hall campus in Milton Keynes is currently being demolished. It was built in in 1971 with its extension opened in the early 1980s. Lord Crowther of Headingley was the first Chancellor of the University until his death in 1972. 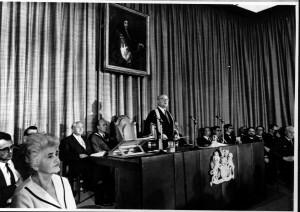 He was installed as Chancellor at the first meeting of the Congregation of the University on 23 July 1969 at the Royal Society. This was combined with the award of the Charter by the Privy Council, and was attended by the Prime Minister to much fanfare. 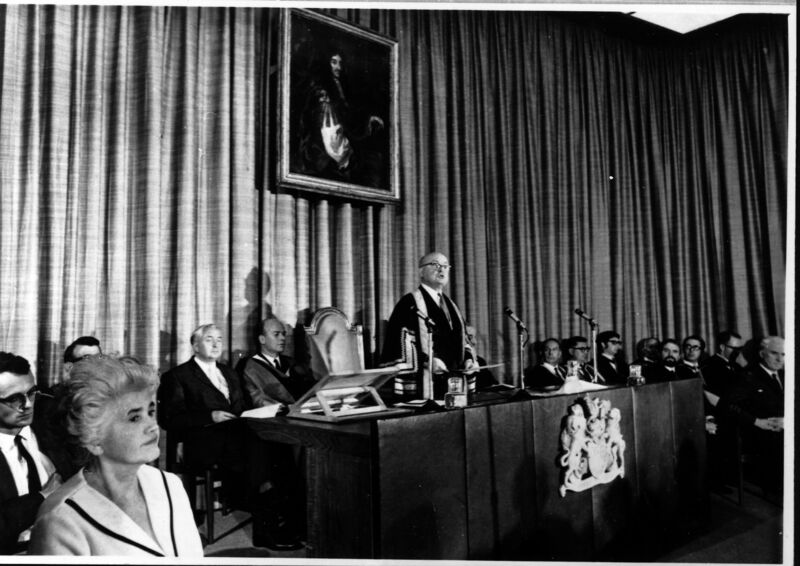 It was on this occasion that Lord Crowther gave his speech describing the new university as open as to people, places, methods and ideas: the University’s mission statement to this day. CORRECTION (14/02/2011): An official document from the University’s Estates Department provided the information for this post that the Geoffrey Crowther building was built in 1971. However, an observant reader of this blog contacted us to point out that as he was working in the building in 1969, this could not in fact be the case. 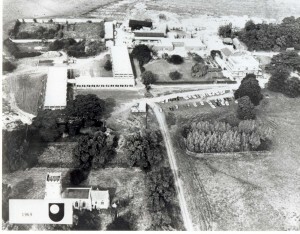 A check of the aerial view of the campus from 1969 shows that indeed the building was in place then (on the left hand side of the picture). This entry was posted on Thursday, January 13th, 2011 at 3:34 pm by Rachel Garnham	and is filed under People. You can follow any responses to this entry through the RSS 2.0 feed. You can leave a response, or trackback from your own site.